Park & Sons belong to a new breed of Dutch House and Techno pioneers. Raised on the rich soil of dance music of the Netherlands, Vincent Leijen and Jorik van de Pol became instantly addicted to techno from a very early age. And by taking inspiration from their heroes like Carl Cox, Green Velvet and Robert Hood this energetic producers duo are mixing the old with the new and dipping grooves in their sets and tracks. 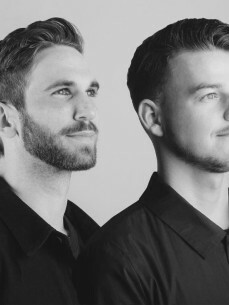 This explains why these hard working guys already are some sort of a familiar face in the local scene as despite their young age these two already have been hosting techno raves for a few years. So far they have played alongside international stars like Ben Sims, Tommy Four Seven, Pär Grindvik, Henning Baer, Truncate, Sandrien, Jeroen Search, Psyk and Hans Bouffmyhre and played legendary clubs and festivals like Planet Rose and Free Your Mind.